There are two options in this pattern: you can choose to bind off directly after the ruffle, or knit for another few increase repeats – each gives a very different look. You can stuff it in your pocket when you don’t need it, and pull it out easily when you do – just shake it out a bit and it opens up beautifully. Finished Measurements: Kid Seta version: 76” wide and 22” deep at middle. KidMo version: 62” wide and 16” deep at middle. Yarn: 200+ yards of lace-weight mohair. I can’t speak to any other yarns, as lace-weight mohair is all I’ve used. I used Blue Moon Fiber Arts KidMo, colorway Sedona and Kid Seta Lux, colorway Purple (206). 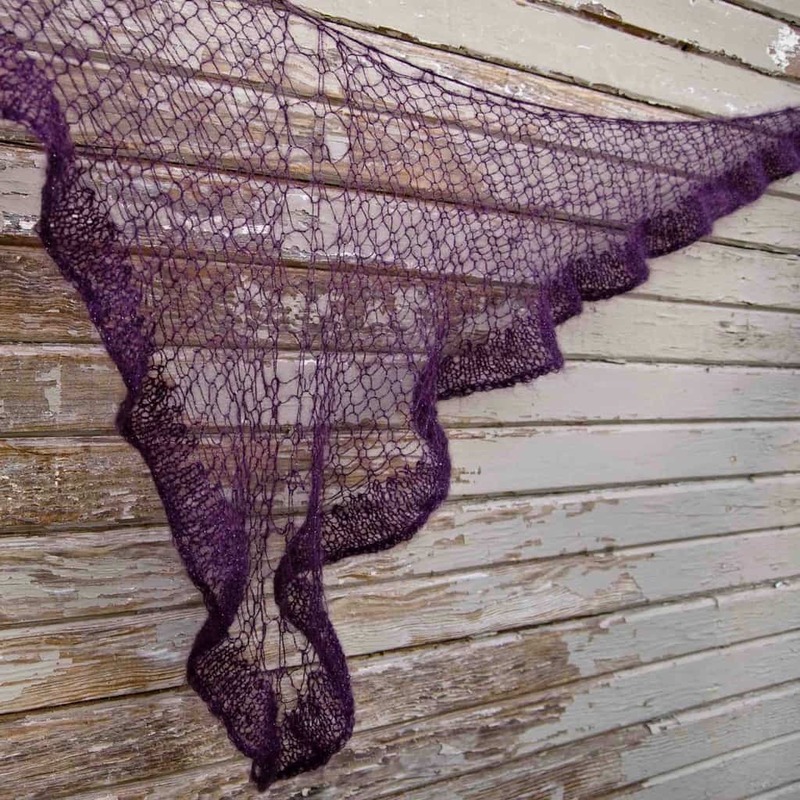 Needles: US 17 (4mm) circular needle (24” or longer) and US 10 circular needle (24” or longer) OR sizes needed to get YOU the fabric YOU want for this shawl. 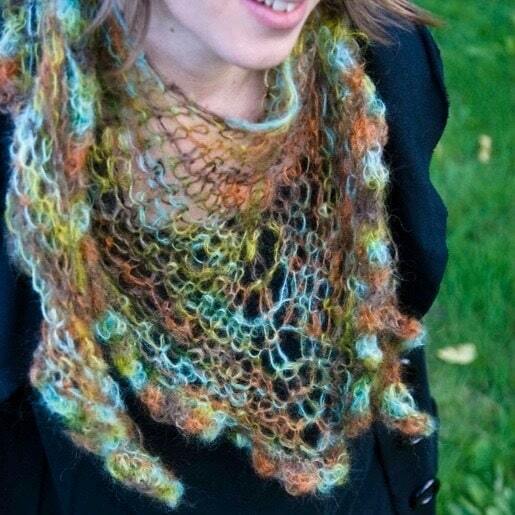 Gauge: Honestly, for this shawl, gauge is even less important than usual for a shawl. Basically, you want a ginormous gauge on the US17 and a smaller gauge on the US10.